“Intense love does not measure, it just gives.” ~ Mother Theresa. | Gurly's collection of quotes, notes & video's made by great people who have been sharing their enlightenment through their words and actions. “Intense love does not measure, it just gives.” ~ Mother Theresa. This entry was posted in Love, Quotes, Self development and tagged "Intense love does not measure, it just gives." 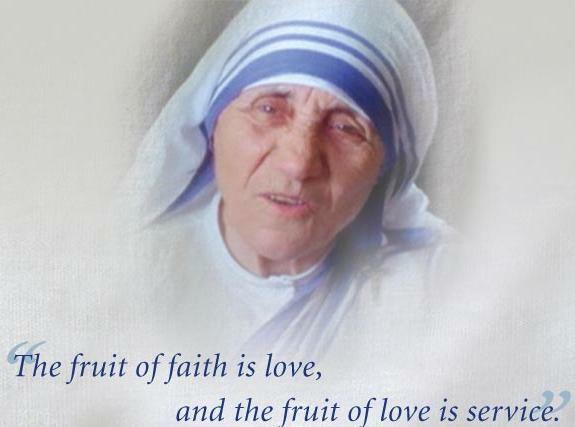 ~ Mother Theresa., Love, Mother Theresa, Quote, Quotes, unconditional love by Gurly Hafsmoe. Bookmark the permalink.